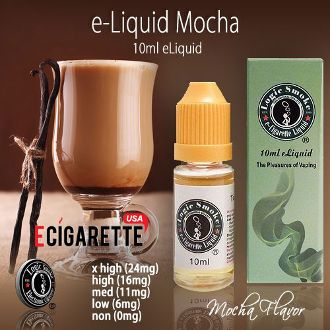 Our Mocha smoke Juice from Logic Smoke is a rich, luscious desert flavor that will be love at first vape. It is a great flavor to vape by itself and is wonderful when added to other Smoke Juice flavors such as Coffee or Espresso. Order a bottle of Logic Smoke Mocha E-liquid and treat yourself.